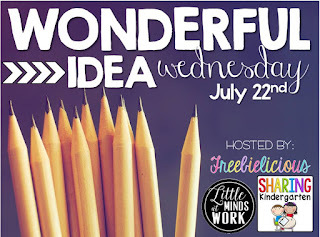 I am linking up with Freebielicious to share an idea that I will be using in the upcoming school year. One of the areas I am always trying to improve in is classroom management, especially managing behavior. I love hearing about what other teachers do for behavior management and have to admit that sometimes I can get a bit carried away with new ideas. You know the teacher who sees an idea and says, "Oh my goodness, I'm gonna try that first thing tomorrow!" Yep, that's me. On the bright side, my enthusiasm for trying out new ideas has helped me to quickly learn what does and does not work for me. My first year of teaching, I primarily used a clip chart and for that set of students, it worked really well. So I continued to use it my second year, but soon found myself wrestling with the public nature of it when students had to clip down. If you use a clip chart and are able to manage that aspect of it well, then kudos to you! :) I just had a hard time with it and realized it was time to say goodbye to my clip chart. Around the time that I got rid of my clip chart, I was starting to read up on Whole Brain Teaching and really liked the Super Improver Wall. I loved how it is all about goal setting and working towards meeting your specific goal. So I took the plunge. I set up a Super Improver Wall. And it worked great, at first. But soon it became hard to keep up with all the different goals (and I had a super small class!). 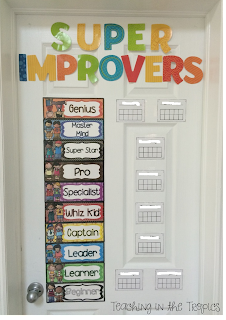 I have read other blog posts about teachers with much larger classes doing the Super Improver Wall and I'm in awe of how they are able to keep up with it! I knew I had to do something different, but I wasn't willing to give up on the Super Improver Wall just yet. One day, it hit me: Why not use it for whole group behavior management? We all have things that our classes need to work on - transitions, lining up, completing work on time, working quietly. I had just started using A Cupcake for the Teacher's Compliment Jar, so I combined the two. We set a class goal and each time I noticed the students working towards the goal, I added a star to the jar. When they reached 10 stars, it was time for a new goal and they moved up to Learner (the next level). I started this pretty late in the school year, so I unfortunately have no pictures of it, but I will definitely be using it this year with my new class. I will have to update this post when I have pictures. 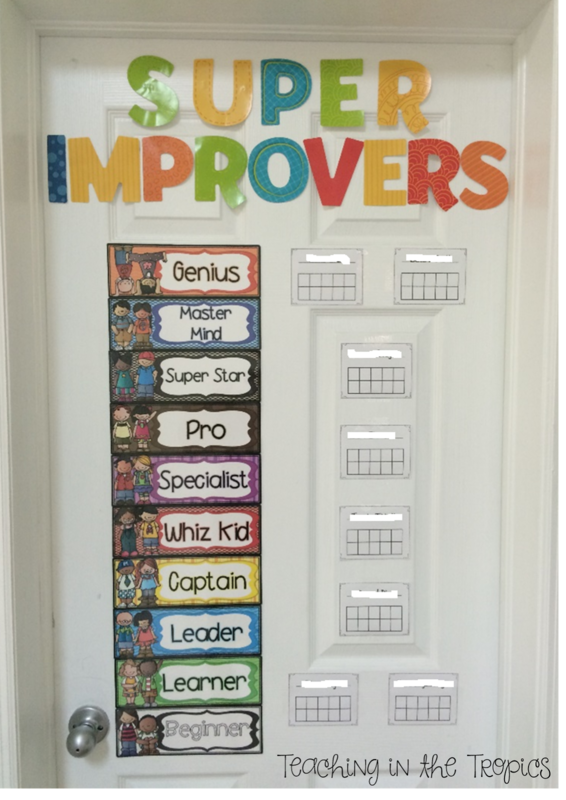 If you are considering using the Super Improver Wall for each student, I say go for it! But if you find the idea of keeping track of individual goals a little overwhelming, then I hope you'll consider using it whole group! If you've stuck around to the end, thanks so much for reading! I hope you will find this idea helpful in your classroom. 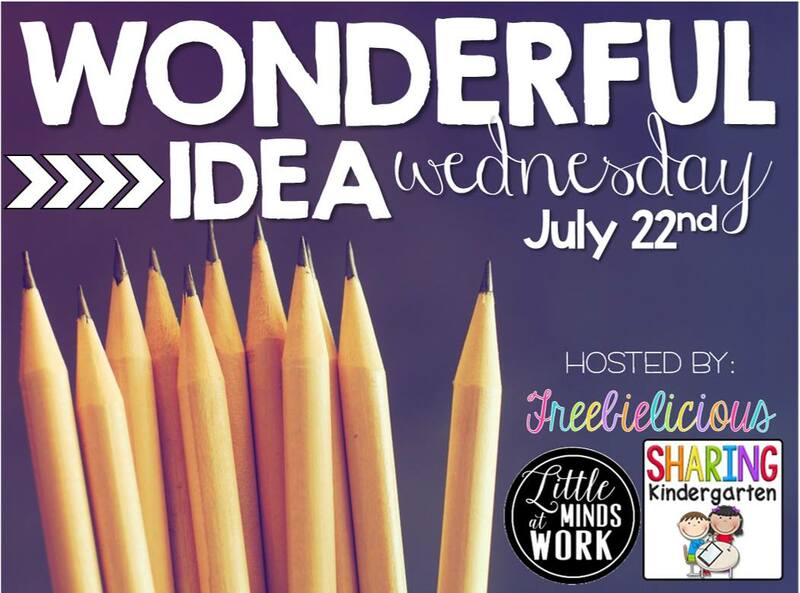 Be sure to head back to Freebielicious to read all of the other wonderful ideas!